Immerse yourself into the true island lifestyle with a timeshare at Hyatt Windward Pointe Resort. Find resales and rentals priced up to 70% below retail today. With the quiet, sparkling Atlantic Ocean serving as a backdrop, Key West vacations simply do not get any better than what you'll find at the Hyatt Windward Pointe Resort. This luxurious offering from Hyatt incorporates a unique island-inspired design with unbeatable amenities to create a vacation experience that will keep you coming back each and every year. From the seaside swimming pool, to the convenient proximity to famous attractions like Smathers Beach, the Hyatt Windward Pointe offers a seamless Key West vacation to every guest. The Windward Pointe offers elegant two bedroom condo-style accommodations for its guests, all of which will satisfy your needs for a truly immersive island escape. Perfect for groups of up to six people, you can gaze out across the waters of the Atlantic from your private balcony, prepare meals in your own fully-equipped kitchen, or wind down at night in your jetted spa-style tub. If you're looking for a comfortable place to stay that doesn't skip out on any details, the Windward Pointe is the place for you. 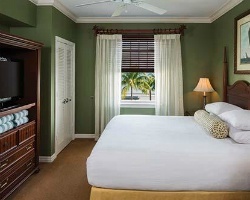 Are you ready to secure your very own place in Key West? Fill out the form on this page to learn more about timeshare opportunities at the Hyatt Windward Pointe Resort, or call a representative at 1-877-815-4227 for more information. Purchasing a timeshare at the Key West Hyatt Windward Pointe can unlock years of incredible trips. However, purchasing that timeshare on the resale market can get you the same great vacation perks, but for thousands less. Timeshare resales at the Windward Pointe are sold by current timeshare owners instead of by the resort itself. With real individuals setting the price for their own accommodations, prices are typically much lower than what the resort offers. You can find timeshare resale advertisements at the Windward Pointe priced up to 70% lower than retail costs, offering you the chance to secure your very own timeshare unit without having to break the bank. 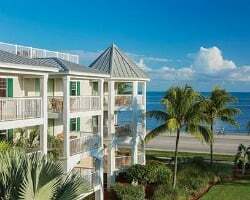 These Key West Hyatt timeshare resales are available in the form of deeded fixed and floating weeks, giving you the opportunity to choose an ownership style that works best for you. You can find the perfect timeshare for you by narrowing your results by price, unit size, and season to ensure you won't end up with a timeshare you don't absolutely love. What's more, you could use your resale to enter the Hyatt Residence Club, one of the industry's most popular vacation clubs. 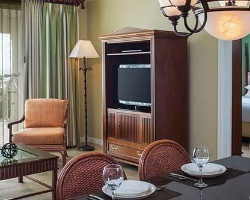 The Windward Pointe resort is affiliated with the Hyatt Residence Club. As such, your timeshare resale will give you access to some of the club's best features. While resale owners will be prevented from using Hyatt Gold Passport Points to book stays at Hyatt hotels, many of the club's benefits will still be available to you. For example, you can convert your Hyatt timeshare week to Hyatt points, allowing you to choose your ownership style. You may also be able to use your points to book stays at other Hyatt Residence Club resorts. Additionally, as a Hyatt Residence Club owner, your membership with one of the world's leading timeshare exchange companies is automatically covered by your club dues. Perhaps one of the best parts about being an owner at the Hyatt Windward Pointe resort is your automatic enrollment with Interval International. With an exchange network of more than 2,000 resorts, you can trade your Key West accommodations for stays at comparable properties around the globe. The Hyatt Windward Pointe is also an Interval International Elite rated resort, noting its superior accommodations, amenities, and services. Should you choose to exchange your Windward Pointe timeshare, you'll likely be able to exchange with other Elite resorts in many exciting destinations. The Hyatt Windward Pointe Key West features a great variety of amenities and services geared toward making your vacation an easy and comfortable one. Start by taking a dip in the resort's swimming pool, which is located right next to the ocean. Relax in the whirlpool spa to mix it up, or grab a snack from the poolside Abbey Road Snack Shack. Visit the front desk to rent a bicycle and explore the island on two wheels, or channel your inner competition at the ping pong table and volleyball court. Catching some waves or some rays isn't a problem, as the white sands of Smathers Beach are located just down the road from the resort. Travel a little further, and you'll find all the delights of Key West are in easy reach from your accommodations at the Windward Pointe. Explore Old Town and Duval Street to find impeccable dining, quaint beach bars, and pulsing nightclubs. Visit any of the quirky island shops around Mallory Square, but be sure to stick around for the sunset. The more intrepid traveler may also wish to seek out deep sea fishing or sailing excursions, which are available all around the island. 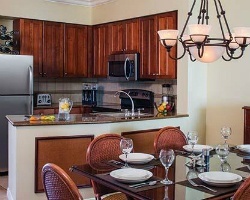 Already Own at Hyatt Windward Pointe Resort?